As I write this in early 2007, the controversy over global warming has heated up (pun intended), and people are taking another look at solar power versus generator. For those living outside the power grid, the second look may save not only the green in the rain forest, but also the green in the bank. Many who live “off the grid” in isolated locations have traditionally relied on generators for electrical power. Others have installed generators for back-up, emergency electrical power. Neither thought there was a choice, but now there is a choice: solar power versus generator. * Solar power, once installed, has little maintenance or further expense. There is no fuel to purchase, since the sun’s energy fuels the system. * Generators are not so. After installation, a generator will require regular servicing by a professional every 6 months. Generators require fuel – a cost that is constantly increasing. Moving generator parts must be replaced from time to time due to wear and tear. * Solar power may be less convenient to purchase and install, since it is not as widely available as generators. This is due to the currently small market for solar power. As the market increases, however, this will be less of a problem. Solar power systems have no moving parts to wear out or need lubrication. Once installed, solar power requires little attention. The user can almost forget it. * Generators are widely available, so convenient to purchase and install. Convenience decreases after installation, though. A generator must be monitored frequently to be sure sufficient fuel is available. It must be refilled often when used as a regular source of power. Fuel must be ordered and delivery taken – or fuel must be hauled by the owner. The system must be serviced twice a year. This servicing will include filter changes, an oil change, a tune up, and complete inspection of the entire unit. Worn parts must be replaced. * Solar power is received in through the panels, free of cost, and stored in batteries. It is ready for use when needed, but in times of reduced usage, the power remains in storage. * Generators run constantly, regardless of the amount of power being used at a given time. As they run, they consume costly fuel. When power usage is reduced in bright daylight, generators must continue to run. * Solar power is very dependable in locations that have bright sunlight 300+ days of the year. In areas with less sunlight, or during periods of cloudiness and storm, solar power is less dependable. The system will continue to provide power from charged batteries, but will eventually go dead. Having said that, it must be noted that Germany, which has far fewer sunny days than most of North America, is said to have much higher usage of solar power. The problem of dependability seems not that big. * Generator systems do not depend on sunlight. They do, however, depend on fuel. If storms or some other disaster hinders one from replenishing the fuel supply, generators also become useless. * Solar power has no emissions when working. There is no pollution involved in fuel production – no greenhouse gases. It is totally clean. Solar power uses a renewable energy source. * A big drawback to generator use is still the matter of emissions and the environment. Generators are usually run on diesel fuel, and diesel fuel is produced from a fossil fuel. There are emissions in the production of the fuel, and also in its use. Diesel generators are a major source of air pollution and high sulfur levels in North America. Exposure to diesel generator exhaust can lead to health hazards. This entry was posted in Industry and tagged back up generators, diesel generators, electrical back up, Generators, mining generators. For those people who have invested or thinking about investing in a power generator for back-up power needs, extra electrical needs, or portable electrical needs, a big consideration should be the type of fuel that is used. There are many sources of fuel for providing electrical energy from the generator including gasoline, natural gas, diesel, solar, wind, and a few other fuel sources as well. The type of fuel selected for a generator can have big impacts on everything from the environment, cost, and electrical output. Sources like gasoline and natural gas are non-renewable where as solar and wind come free and are renewable. For continuous, high energy output, gasoline and natural gas are better fuel sources. These are just a few of the considerations. Natural gas, however has some major points over the other fuel sources and is recommended in this article. Why is natural gas a good fuel source for generators? Well first of all, a lot of homes use natural gas to fuel stoves, ovens, and even fireplaces. Those who have paid the gas bill will often find it is much cheaper than the electrical bill. For those unlucky people with electric ranges, electric water heating, and other electricity dependent heating, the high price of electricity is a big cash vacuum. The price of natural gas is very good compared to other fuel sources as well. The energy output provided verses the cost is better than that of diesel and gasoline. When it comes to generators, most backup generators work better with natural gas because the supply is already coming to the location. Most homes have a pipeline for their natural gas that can be harnessed by backup generators to supply electricity when other sources are not working. Automatic transfer switches can determine when there are blackouts or other electrical problems and supply electrical power produced from the location’s natural gas source. This means that there is no need to purchase any additional fuel for the generator as it is already pulling from a decent costing fuel source in natural gas. This can not be achieved with some of the other fuel sources as well. Another reason natural gas should be used in power generators is it’s energy production which is comparable to that of gasoline and diesel. For people who have natural gas products, the energy output is not even noticeable but the cost is. Natural gas makes the energy to cost ratio efficient. For portable generators, the same output can also be achieved as natural gas can be supplied to the generator much like how a barbecue grill is supplied. This makes supplying fuel to portable units easy as all that is needed is a canister of natural gas that just needs to be plugged in to the fuel line. Natural gas is also cleaner than both diesel and gasoline. Natural gas will cause less engine buildup and lead to longer lifetime of a costly generator. 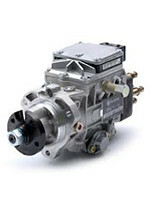 There are also natural gas conversion kits for many types of generators that allow changing the fuel type. These conversion kits can help extend the usefulness of old generators by using natural gas as the fuel type instead. Natural gas is not only a good energy source for homes but also a good one for portable or emergency power generators as well. They provide high, continuous amounts of energy at a very efficient cost to both residential and business users. Generator hire today due to the ever increasing expense of generator sales is becoming more popular and quite the standard. Generator leasing really is just the ticket rather than acquiring a generator. Many industries’ primary problem is to keep overheads expenses low. Through generator leasing, a business can get a kick out of a lot of benefits than it experiences when it purchases a generator. Not just this, you have no maintenance to worry about, no service warranty problems or anything what so ever. Everything to do with generator use is to do with the owner. That’s why when you decide to hire a generator, you conserve cash in the long run Advantages of Diesel Generators Working with a generators provides a greater flexibility. In case your organisation is needed to move assets your generator can easily move with you too. Also, if your organisation grows, one can discuss the concerns to your hire to accommodate a smaller sized or a more enormous capability maker. Within an unstable financial environment, it is routinely a specific advantage of generator leasing for organisations in susceptible sectors. Market Catastrophe Healing Generators are not just used for power production but also for several other functions too. Different production applications can utilize electrical or mechanical power produced by generators to carry out their tasks. A generator can also be utilized in power production in regions where other sources of energy are unavailable. Diesel generators show high toughness and effectiveness. The main factor for confidence is that diesel motor are routinely business status makers that can make it through extreme weathering and also display high production for extended periods. They likewise are very errored tolerant hence being chosen by an market expert Diesel Generator Rentals Renting a generator can regularly be more affordable than having your personal. Since having a generator requires a substantial cost that will stay on your balance sheet for a extended period after your requirement of the generator ends. As soon as you prefer to rent a one, a month-to-month figure is paid as an option, therefore saving your capital for other functions. Flexibility and Generator Upkeep Although your business owns a generator, ensuring that a credible generator hire is integrated as part of your catastrophe revival plan is a good alternative. Catastrophe healing plan problems a technique that will be employed ought to your business struggle with a fire, flooding, theft, security infringement or another unanticipated incident that causes organisation disturbance. Ensuring that you have a generator hire company as a option exposes that you will can getting your company to run faster, therefore reducing losses and downtime. The most essential advantage of diesel generators is that they have a high market worth. They are favored hence are easy to use. One can purchase a brand-new or previously owned diesel generator for your commercial use and offer it later with slight to no decrease in worth. In between all the fossil energy sources, the most easily used around the globe is diesel. It is discovered almost all over the world. A generator is primarily helpful if you have field workplaces in separated regions. A diesel generator can rapidly restore your energy requirements anyplace you are positioned. Purchasing a diesel generator is an outstanding choice if you want to attain an economical energy option. Because diesel is reasonably affordable when compared with regular gas, it’s proper for use in numerous commercial applications. Diesel generators have actually been utilized for a long period of time. For more than a hundred years, diesel generators have really remained in use in industrial industries. Its main function is to take out the chemical energy in diesel and change it to kinetic energy. Considered that various forms of energy can be changed or converted in between themselves, it is simple to turn diesel energy into electrical power through the concept of shared induction.